On a frequent basis, I am asked questions pertaining to sleep. What kind of bed should I buy? What is the best pillow? What position should I sleep? These are all great questions, and when treating patients, should be addressed; for the correct application may help reduce the cause of pain they are experiencing. Let us first address sleeping posture. When patients mention they awake with pain, my first question is “What position do you sleep?” Ideally, we want to lay on our side or back. I recommend that the spine and body be supported so that it is able to maintain a correct anatomical position. When on your side, this will entail a pillow under your head, and maybe one between the knees so as to keep hips in alignment. When on your back, this will entail a pillow under your head and maybe one under your knees. Many patients report that they like to lie on their stomach or find that they roll onto their stomach during the night. I discourage stomach lying due to the fact that one must rotate the neck to breathe. This creates a great deal of stress to the anatomical structures of the neck, and the individual will awake quite often with neck pain. I will then recommend pillow props at the back or stomach to block the nighttime roll to the stomach. Robin McKenzie, a physical therapist from New Zealand, talked of taping a tack to one’s sternal region with the pointy tip towards the skin. When one rolled onto the stomach, they were quickly awakened, and over a short time, this did not happen again. Once the posture has been corrected, and the person still wakens sore, if it is at the neck, it is pillow talk time. I am a picky pillow person myself. I am very aware when getting comfortable at night how my head is aligned and neck is supported in my preferred side-lying position. I have tried and used various pillows, and what works for me is not the cure-all for those that I talk with about pillows. I prefer a pillow that I can ball up so that I have support under my neck and will keep my head in midline. With my frequent travels, I have a pillow I take on the road that is the same model as the pillow I use every night at home. There are as many types of pillows as there are beds and bed surfaces. It is very much an individual preference, although I inform patients that ideally you want a pillow that will keep the anatomical spine supported and keeps the head in midline. Many people may not have the ideal anatomical spine. They may have severe degenerative changes or history of surgery that will not allow their spine to be “textbook” correct. In some cases, the alignment may change during the course of treatment if I am seeing them as a patient. That is why pillows and any additional pillow inserts should be looked at carefully, and why there is not a “one fits all” pillow. If the posture has been corrected, and the person awakens with back pain, it is time to talk about the bed. Quite often a patient will grumble about the price of new beds. Yet they will spend several thousand dollars on a new couch and chairs. But think of it this way, unless we have a sitting desk job, the furniture we use the most during the day, week, year, and life is our bed. We should be spending the most money on our furniture budget on our bed! Very much like the pillow, surface preference is personal, but you want a firmness to support your individual spine and maintain its anatomical alignment by either side-lying or sleeping on your back. And this may be with pillow props, as previously noted. If a spouse or partner is in the equation, fortunately, there are bed companies that offer adjustable firmness on both sides of the bed. Again, preference and anatomical differences are to be considered. When deciding on a new bed, take your time to read literature and spend some time lying on the bed surface in the store. Most stores have a return policy that you can exercise if you find that the bed is not comfortable while observing the words previously written in this post. While talking about the subject of sleep, it would be wrong of me not to talk about the environment and the hour or so before bedtime. Various podcasts that I have listened to mention a room that is slightly cooler than what you would normally like to sit in for an hour or more. Ideally, the room you sleep in is dark and quiet, but adjust the environment to suit your personal needs. 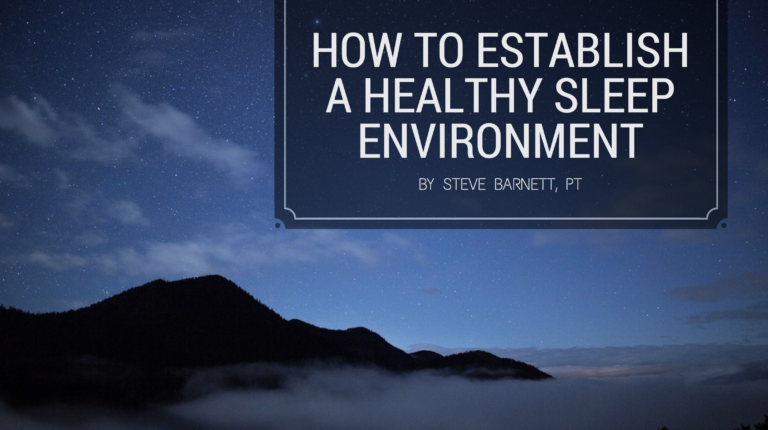 White noise machines, fans, earplugs, and a multitude of other strategies may be your preference. Advice such as no eating or drinking one to two hours before you hit the hay is recommended, as well as avoiding computers, phones, tablets, and any light-emitting screens. // Do you see yourself making any changes in your nighttime routine to have a better night’s sleep? 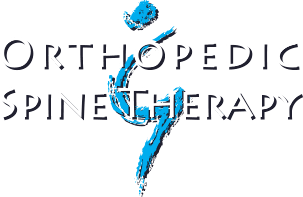 If you have any questions, contact your Orthopedic & Spine Therapy physical therapist!